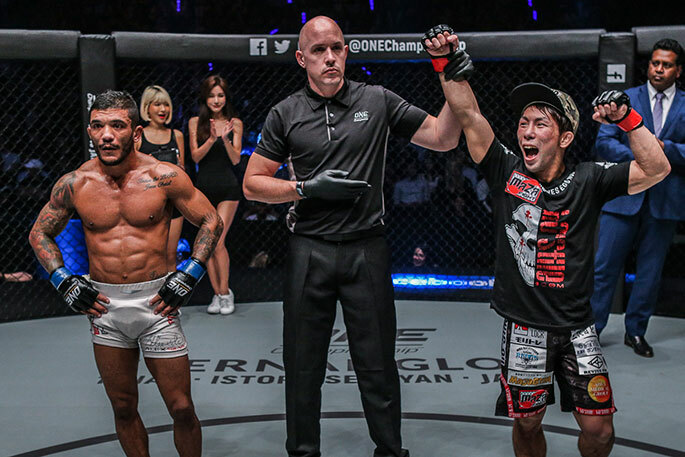 Top contender Yosuke “Tobizaru” Saruta has a mission heading into his title bout against reigning ONE Strawweight World Champion Joshua “The Passion” Pacio in the main event of ONE: ETERNAL GLORY on Saturday, 19 January in Jakarta, Indonesia. The 31-year old is looking to bring the title back to Japan and avenge a fellow Japanese martial arts hero. Naito was a two-time ONE Strawweight World Champion before dropping the title to Pacio back in September of 2017. Now, Saruta is looking to follow in the footsteps of his compatriot and rule ONE Championship’s 56.7-kilogram weight division. “My goal is to become the ONE Strawweight World Champion and bring honor back to mixed martial arts in Japan,” the Saitama, Japan-native expressed. When Saruta enters the ONE cage at the Istora Senayan come event night, it will only be his second time to do so. “Tobizaru” made an immediate impact in his promotional debut back in December, defeating former ONE Strawweight World Champion Alex “Little Rock” Silva via unanimous decision. The impressive debut win was enough to earn Saruta a shot at the world championship when originally-scheduled challenger Hayato Suzuki was forced off the card with an injury. 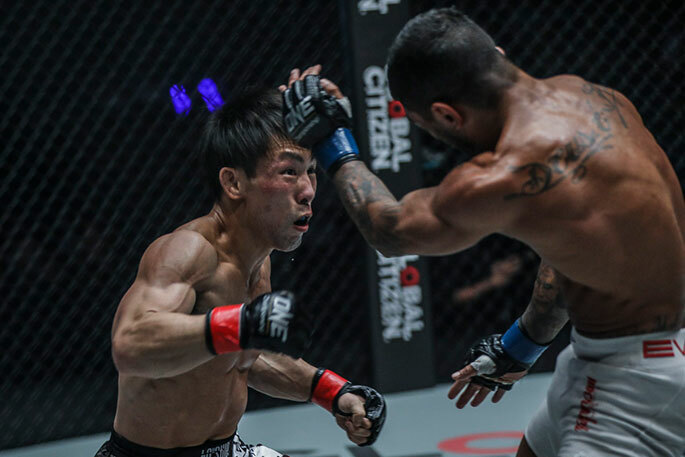 And while Saruta is a relative newcomer in ONE Championship, he is by no means a newcomer to the mixed martial arts industry. The Japanese star has over ten years of experience under his belt to go with an 18-8-3 professional record and a run as the Shooto Strawweight World Champion. Now competing on the biggest martial arts stage in the world, Saruta hopes to once again hoist world championship gold. “Becoming a ONE World Champion will be a testament to all the hard training I’ve put in, and it shows my strength as well,” he concluded.